If you depend on your phone all day, the new Galaxy Note 9 might be right for you. If you depend on your phone all day, the new Galaxy Note 9 might be right for you. It sports a 4,000mAh battery for long-lasting power, so you can talk, text, and play games for as long as you like. Galaxy Note 9 builds on Samsung’s industry-leading camera technologies with new capabilities that make capturing the perfect picture easier. For example, a notification will appear if an image is blurry, or the subject blinked, or if there’s a smudge on the lens, giving you the opportunity to fix the flaw. The device features dual rear 12MP cameras with 2X optical zoom, 10X digital zoom, and Optical Image Stabilization (OIS). And that’s not all; there’s an 8MP rear facing camera too. 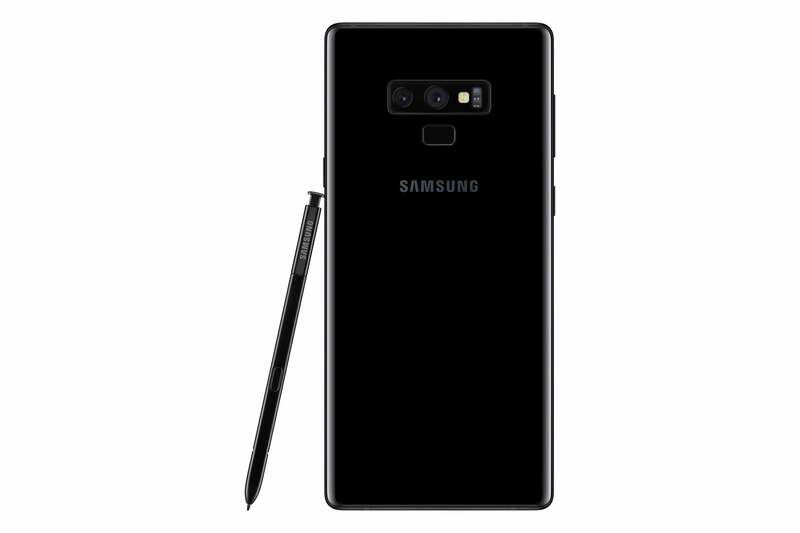 Samsung Galaxy Note 9.Image credit: Samsung. The S Pen, the signature feature of the Note series, is now equipped with Bluetooth Low-Energy (BLE) support. With just a click, it’s now possible to take selfies and group pictures, present slides, pause and play video, and more. Galaxy Note 9 has a 6.4-inch Super AMOLED Infinity Display, complemented by AKG stereo speakers, which makes it ideal for entertainment. But don’t fret- when it’s time to get work done, you can count on DeX for a PC-like experience. Simply connect the phone to a monitor using HDMI adapters, and Galaxy Note 9 can power a virtualized desktop. Galaxy Note 9 is a powerful smartphone with a 10nm processor, and support for the fastest network speeds available in the market (up to 1.2 gigabits per second) to stream and download without slowing down. Galaxy Note 9 is available with two internal storage options- 128GB or 512GB. Plus, you can insert a microSD card, giving you enough space to keep your favorite photos, videos, and apps. Combine these features with Samsung’s proprietary Water Carbon Cooling system, and you’ve got yourself a pretty slick handheld gaming console as well. The feature packed Galaxy Note 9 is yours for both work and play.